Rx Biotic is a blend of 4 major probiotic bacterial strains with two prebiotics: fructooligosaccharides and larch arabinogalactan. Clinical research has demonstrated that the beneficial bacteria in the bowel normalize gastrointestinal system function as well as contribute to improved immune response. Rx Biotic Powder by Rx Vitamins for Pets contains a blend of probiotic bacteria that may work to keep your pet’s gastrointestinal tract healthy. This product contains four strains of probiotic bacteria‚ including lactobacillus acidophilus‚ bifid bacterium bifidum‚ and bifid bacterium longum. Notably‚ probiotics are good bacteria that might work to inhibit the growth of potentially harmful bacteria in the digestive tract. As a result‚ Rx Biotic Powder product may help address certain symptoms associated with digestive discomfort‚ such as mild diarrhea‚ constipation‚ or vomiting. 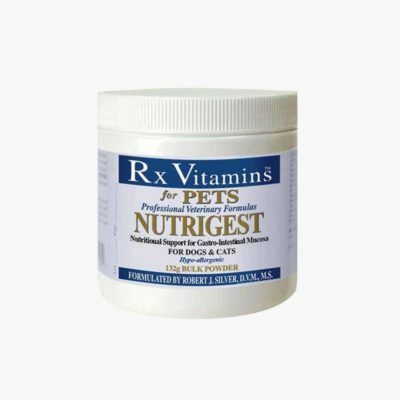 In addition‚ this Rx Vitamins for Pets supplement contains fructooligosaccharides‚ which are prebiotics that could potentially work to stimulate the growth of probiotic bacteria in your pet’s gut. Finally‚ Rx Biotic Powder is free of artificial flavors and additives. 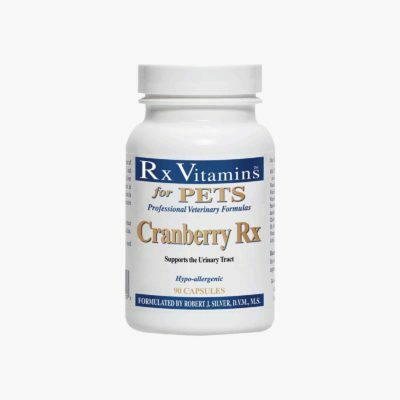 At the recommended serving size of one to four scoops daily‚ each container of Rx Vitamins for Pets’ Rx Biotic Powder should last for about three to 12 weeks.